The Avengers: Age of Ultron and Ant-Man will both be filming in 2014. Marvel Studios, an owned subsidiary of The Walt Disney Company, is currently in pre-production on the action sci-fi feature films “The Avengers: Age of Ultron” and “Ant-Man”. The Disney casting director (contracted by Disney’s Marvel Studios) has been sending out casting notices as “Untitled Marvel Project”, leading many to speculate that the casting is for “The Avengers: Age of Ultron” or “Ant-Man”. Indeed it is the same casting director that holds auditions for both films, Sarah Finn, who has been casting all of Marvel’s films dating back to “Iron Man” in 2008. According to SAG-AFTRA, “The Avengers: Age of Ultron” is scheduled to film from March 1, 2014 through September 1, 2014 – while “Ant-Man” is scheduled to film from May 1, 2014 through October 1, 2014. “The Avengers: Age of Ultron” will be shooting in the United Kingdom and Cape Town, South Africa. “Ant-Man” will shoot in San Francisco and Atlanta. Reports have Robert Downey Jr, Chris Hemsworth, Chris Evans, Mark Ruffalo, Jeremy Renner, Scarlett Johansson, Samuel L. Jackson, and James Spader all starring in “The Avengers: Age of Ultron”. Aaron Taylor-Johnson has signed a deal to play the role of Pietro Maximoff aka Quicksilver. BAFTA Awards nominee Elizabeth Olsen has signed on to play Wanda Maximoff aka Scarlet Witch. Paul Rudd has been cast as “Ant-Man”. Academy Award nominee Joss Whedon will return to direct his second Avengers film from a screenplay that he wrote himself based on the comic books by Jack Kirby and Stan Lee. Three-time BAFTA Awards nominee Edgar Wright will take the helm on “Ant-Man” and he also wrote the screenplay. Wright’s directorial credits include the 2007 feature film “Hot Fuzz” starring Simon Pegg, the Universal Pictures film “Scott Pilgrim vs. the World” starring Michael Cera and Anna Kendrick, and the Focus Features 2013 film “The World’s End”. “The Avengers: Age of Ultron” is scheduled to hit theaters on May 1, 2015. “Ant-Man” is set to be released on July 31, 2015. All talent must be legally eligible to work in either the United Kingdom, San Francisco, or Atlanta, GA.
Information and applications for work permits and other documents can be found in the Actors Resource Guide eBooks. The 2014 Actors Resource Guide eBooks are available here. The following is information regarding submitting actors headshots & resumes to casting directors in general, and is not only specific to this project. 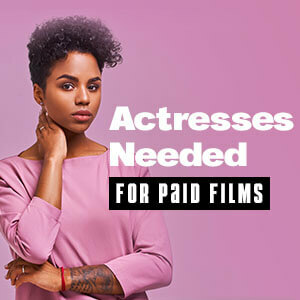 See the post titled Headshot and Resume Information regarding how to submit to casting directors for acting roles. Casting directors DO NOT accept unsolicited phone calls or personal drop-offs. The casting director’s address should be written in all capital letters on the solid side of the envelope, with the name of the project you are submitting for written directly above the casting directors name. If the role that you are submitting for is available, it should also be written above the casting directors name. I will post extras casting calls as they become available.